the "F" is for FISK (Schuyler Fisk) and the "M" is for MYERS (Tim Myers). 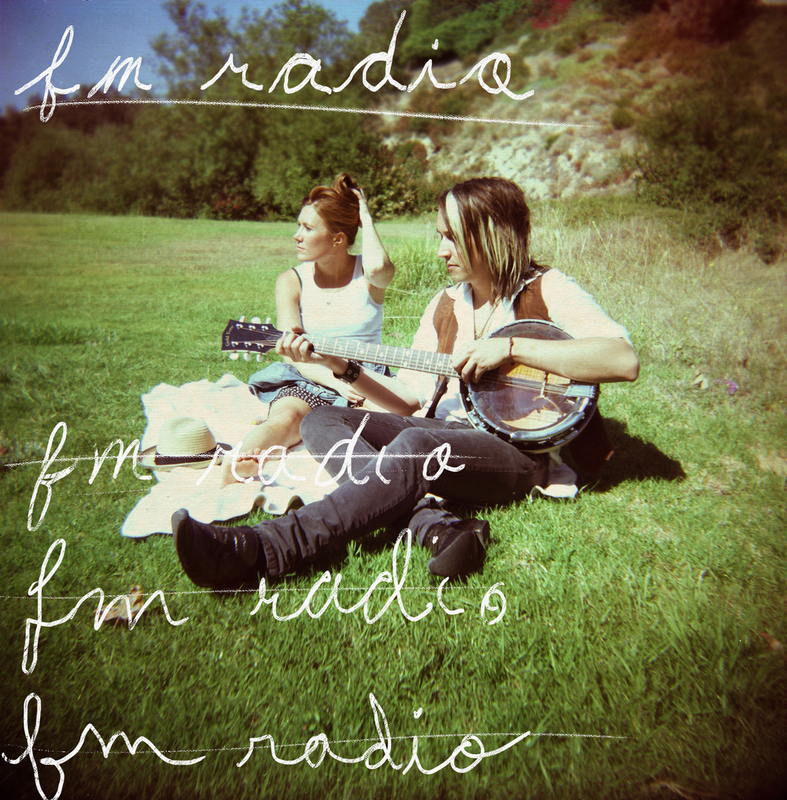 FM RADIO has been described as sounding like a mix between "Fleetwood Mac" and "Lady Antebellum"...combining rich harmonies with thoughtful lyrics and catchy melodies. They refer to their music as "Indie-Country" or "California Country". Fisk and Myers have been collaborating and writing together for the last 5 years for numerous music projects. FM Radio was born in 2010 after one of their Fisk/Myers collaborations, “Be My Only” caught the attention of fans on the series finale of “Ugly Betty.” Their music has since been heard on numerous tv and film projects...most recently the hit CW show, HART OF DIXIE. Tim Myers, former member of One Republic, has been writing with and for other bands including Snow Patrol, Tyrone Wells and MoZella. His solo songs have been featured in many films and television shows including "Grey’s Anatomy," "Private Practice," and numerous Target commercials. His debut solo record, "Technicolor", came out this year. Schuyler Fisk’s first record “The Good Stuff” (released Feb ’09) was a chart topper on iTunes and debuted on Billboard's Heatseekers chart. Her sophomore record “Blue Ribbon Winner”, released in 2011 was also an "indie success". Schuyler has toured with likes of Sheryl Crow, Cary Brothers, The Weepies, Rachael Yamagata, and Ben Taylor and has had original songs in films such as Penelope, Dear John and The Last Kiss. As an actress, Schuyler has some exciting projects in the works. She most recently appeared alongside Mia Wasikowska and Jane Adams in the film Restless, directed by Gus Van Sant.